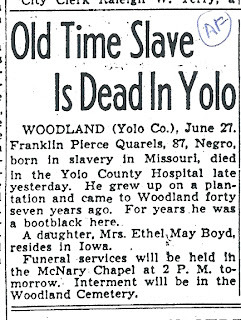 The Sacramento Bee [Sacramento, California], 27 June 1940, page/column not noted. On the same page was the announcement for my own family. 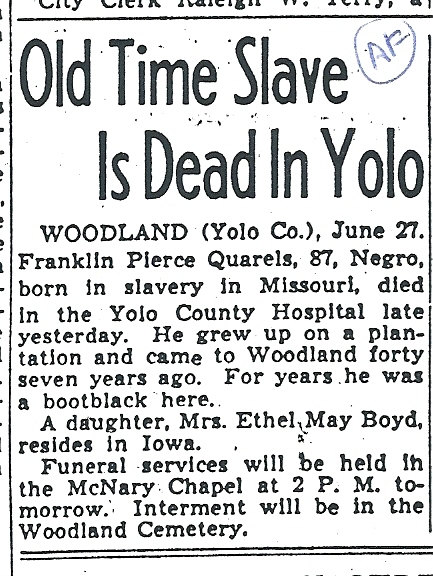 I feel all obituaries should be posted. I'll see if I can find out more about his daughter, Mrs. Ethel May Boyd, so that Franklin Pierce Quarels isn't forgotten.